Europe: ORIGINAL GAME © SEGA/westone bit entertainment 1988 REPROGRAMMED GAME. © SEGA. 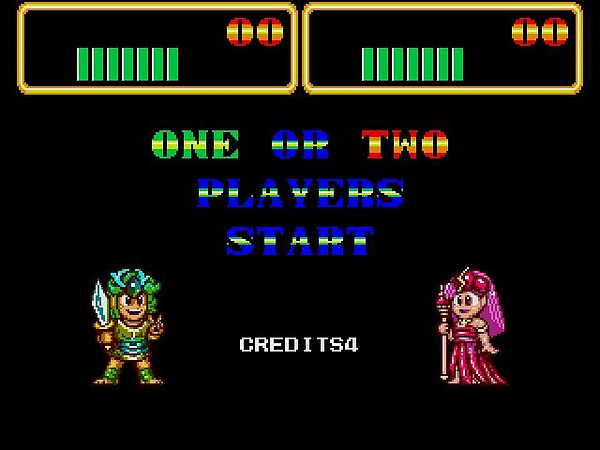 SEGA, the SEGA logo and WONDER BOY III: MONSTER LAIR are either registered trademarks or trademarks of SEGA Corporation. All rights reserved. United States: ORIGINAL GAME © SEGA/westone bit entertainment 1988 REPROGRAMMED GAME. © SEGA. SEGA is registered in the U.S. Patent and Trademark Office. SEGA, the SEGA logo and WONDER BOY III: MONSTER LAIR are either registered trademarks or trademarks of SEGA Corporation. All rights reserved.